You are currently browsing the tag archive for the ‘transfomation’ tag. When was the last time a children’s classic seized your imagination, transported you to a world where, despite hardships of every stripe, everything works out? Enter the river world of Mole, Rat, Badger, and Mr. Toad and discover how their carefree wandering and playing swallow them in dark experiences. They emerge all the wiser, their friendship more nuanced as they continue adventuring by the river, arm in arm. See the mild-mannered, home-loving Mole who risks everything venturing into the world above him; the cultured, relaxed Rat with literary pretensions and a love for picnicking; the aimless, wealthy, conceited Mr. Toad, almost done in by numerous addictions; and the gruff, solitary Badger, a wise and brave and skillful fighter. See also the Chief Weasel, the antagonist who takes over Toad Hall with other weasels, ferrets, and skoats. Within the world of these characters, we find our own, if we dare to look. Fortunate for us, the author of this classic quit his position with the Bank of England in 1909 when 49 years old. He returned to his boyhood home in Cockham, Berkshire along the River Thames and began writing down the bedtime stories he had told his son, Alistair. One of these was The Wind in the Willows. 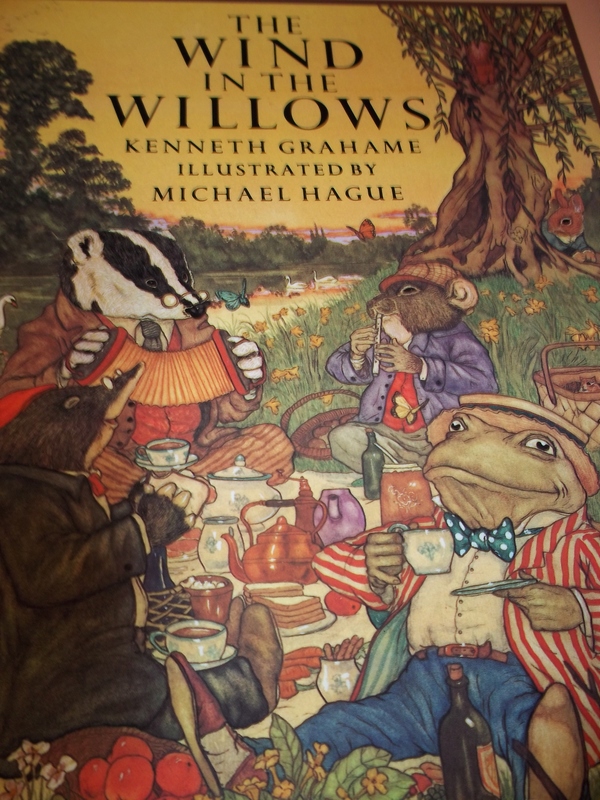 The author was Kenneth Grahame. See the 1980 edition illustrated by Michael Hague.